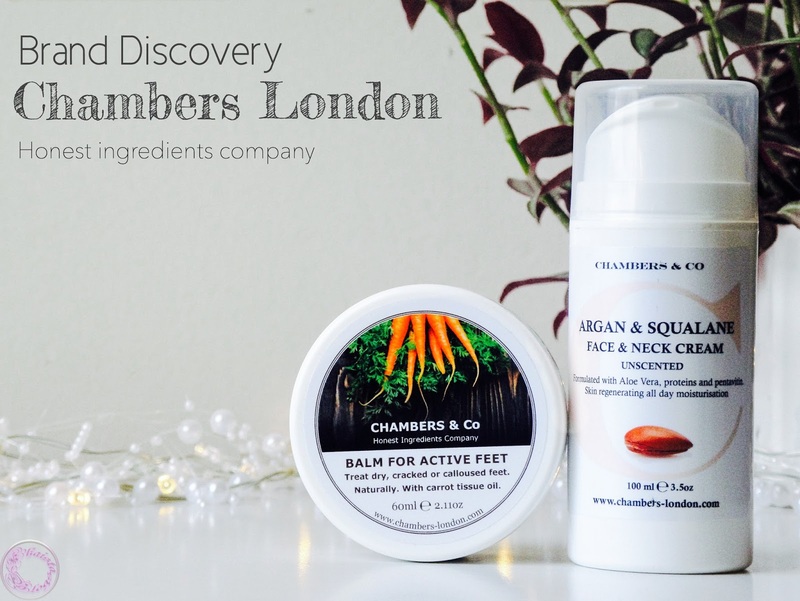 A couple of weeks ago I was lucky enough to be contacted by lovely people on behalf of Chambers London and was asked to try their skin care products. 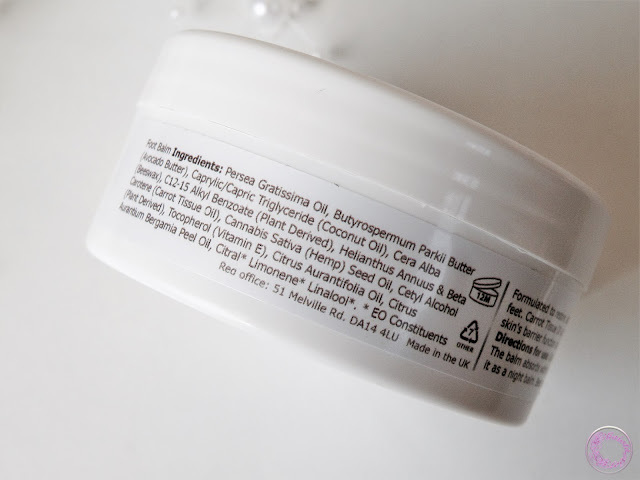 When I looked into their website I found out that Chambers London products are made of natural and plant derived ingredients. If you are following me for a while you must be aware that I can easily fall for natural skincare products. So it was natural for me to accept the offer. Chambers London has a small collection in skin care range. Aside from the concept of providing natural ingredients based products at good price, the products themselves are very nice. I picked two products; Argan and Squalane face and neck cream and Balm for active feet. 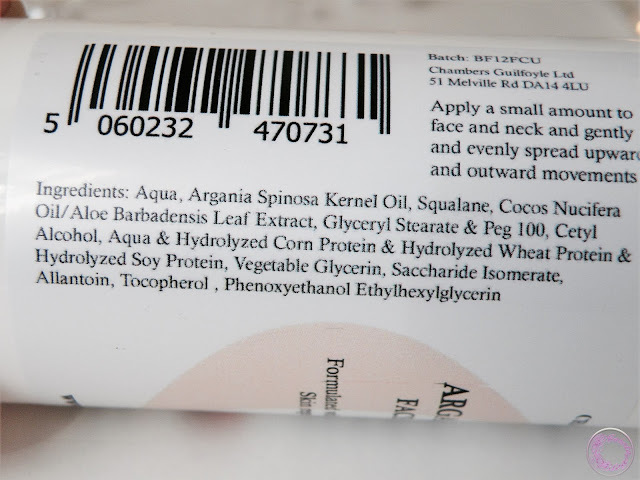 Argan and Squalane face and neck cream is possibly my favourite. It is an anti-ageing cream packed with potent ingredients. I have never heard of Squalane before. Squalane is an optimized version of our skin’s natural moisture molecule. Our skin contains squalane in our teens and early twenties. But as we age the level of squalane decreases in skin and skin losses firmness and elasticity. Squalane based face products help in replenishing the lost moisture. I have been giving it a good road test for past week. The texture of cream is smooth. It is very moisturising because it has argan oil as well. However, it doesn’t feel sticky or tacky. It instantly sinks into skin leaving skin very soft and supple. One pump is enough for face and neck. I used it on my neck primarily because I have few bit deep lines there and I thought if I wanted to see maximum results, neck was the best area to experiment. After a week I can see visible difference in my neck skin. Lines on my neck are softer and plump. My skin feels a bit firm as well. I have oily skin so it is slightly rich for me at this time of year. But it will be perfect for winter time when my skin gets all crazy and dehydrated. Argan and Squalane face cream is suitable for all skin types but it is a real treat for dry skin. The one I got is also unscented making is suitable for sensitive skin as well. Balm for active feet is a carrot tissue oil and avocado butter based foot balm. 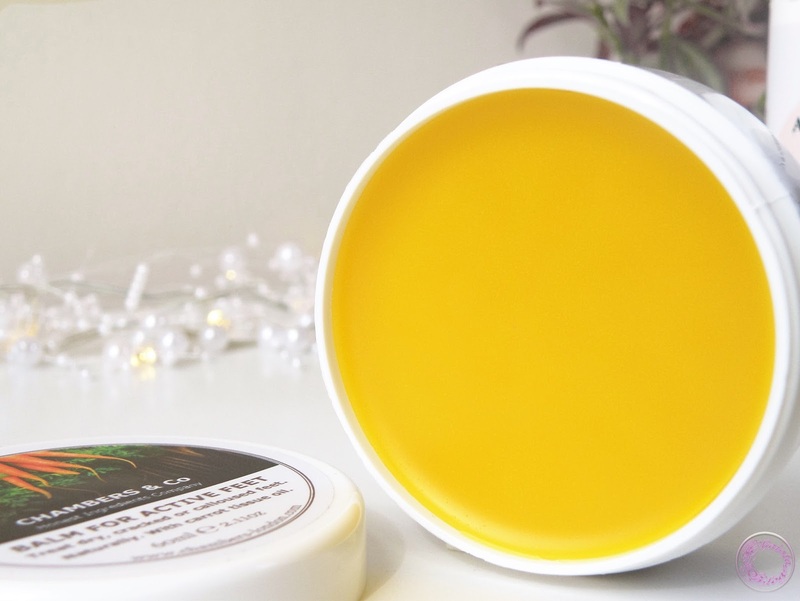 It is a good blend of several other oils, beeswax and vitamin E. It feels like solidified oil. Once applied it melts straight into the skin. The balm feels a bit oily initially as it is oils based product but absorbs completely into skin after few minutes. It leaves a nice soft protective film over skin but not too sticky like petroleum based products. It has strong floral smell but not like you will not enjoy it. I will highly recommend to check out their products. As Chambers London is a local company, it is always nice to support small businesses. 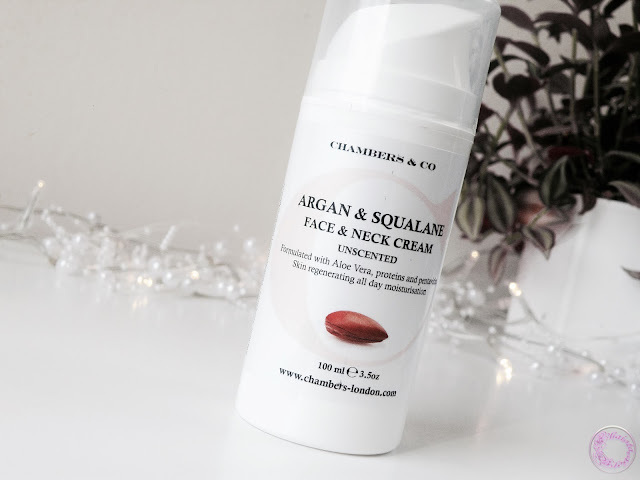 Argan and Squalane face and neck cream 100 ml and Balm 60 ml are available at Chambars London website for £12 and £8 respectively. I hope you have found my review helpful. Leave your comment and suggestion below. Disclaimer: *This article contains PR sample. The reviews here are reflecting my thoughts only based on my experience. I always try to give my best opinion on every product I use. However, every product reacts differently on different skin type. I cannot guarantee that the product will work the same for you. I am also reviewing one of the Chambers products, we went for the pet shampoo so its interesting to see your thoughts on the skincare! I hope you enjoy your product as well. The foot balm sounds lovely, my toes wluld enjoy it! I love that they are natural/plant based too. Think I need some of that face and neck cream. I've always had a 'wrinkly neck' and I'm not even old! Well, not that old. I have sensitive skin as well so it's great that it's unscented. Great.. Try it you will love it. Oh yes. I was not expecting these products to do such wonderful job. I also didnt know about it until they offered me to try it. But I am glad i did. They both seem very good. I have a similar foot balm and it's great, I'm very happy with it. I would like to try this one after I finish the one that I use now. I really like the sound of the balm for active feet. I could definitely do with trying that out. I have never come across the brand before but they are so affordable! Haven't tried this brand so far but the products sound great. Thanks for sharing. I like the look of the balm for active feet. I need this to soften my heels. This all sounds lovely! I'm such a sucker for natural products as well! I do love the sound of them and the prices seem reasonable. Sounds like they have great products! I've got some of their products too but didn't get a Chan to try them out yet. Hopefully will try them out tomorrow. I have oily skin too, so this might be a good punt for my winter skincare. I m also using squalane oil for face.